For more fun with the Greenville, IL Chamber of Commerce follow us on Instagram . . .
See the photo of the day that you won’t see on Facebook! The Greenville Chamber of Commerce has elected officers and board members for 2019. . . .
Randy Alderman is president, Noel Harnetiaux, vice president; Robert Ellsworth, treasurer; and Ryan Champ, secretary. Returning board members are Michael Diaz, Alan Gaffner, Tom Kennedy, Steve Morgan, Linda Myette, Janice Romack, Troy Oldham, Wes Olson, and Dave Willey. New members to the Chamber board are Bill Walker and Dusty Bauer. 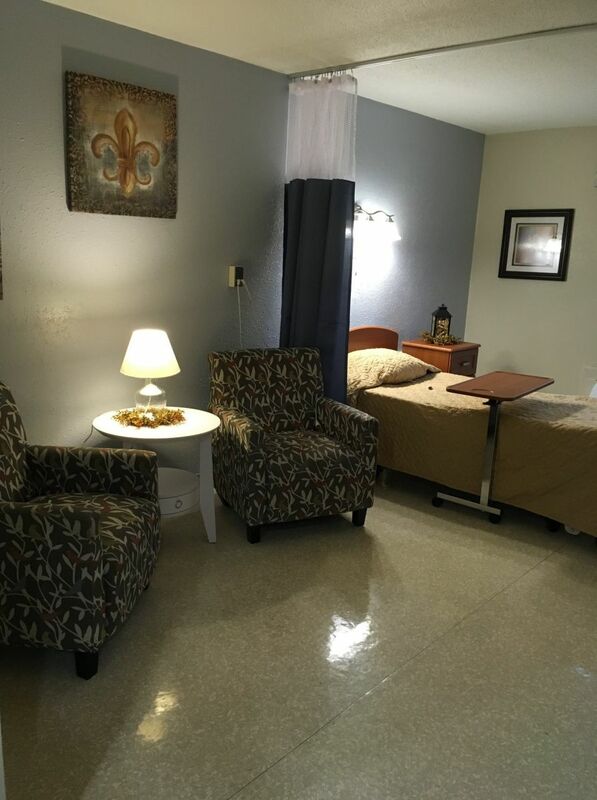 Congratulations to Greenville Nursing and Rehabilitation Center on the ribbon cutting of your newly remodelled facility! It is beautiful and warm with the comforting feeling of home. Thanks to all who attended and to Scott and his staff for their hospitality. . . . Enjoy SoundBytes and additional Photos at WGEL 101.7 FM Daily News. 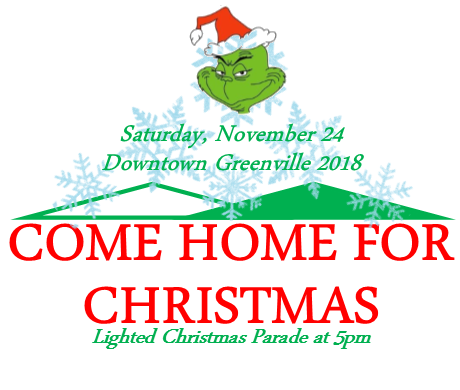 The Greenville Chamber of Commerce, in partnership with downtown businesses, will be presenting Come Home For Christmas and lighted Christmas parade on Saturday, November 24. The theme of this year’s festivities is The Grinch in honor of the 50th anniversary of the classic Dr. Suess Christmas story. . . .
Plans are to turn the former Metzger’s/Green Door building into Whoville, with Santa Claus meeting children. Area businesses and organizations will be invited to create their very own Whoville storefront to be included in the event. Whoville will be open every weekend from 10-1 through the holiday season with Santa Claus and the Bond County Secret Santa Society meeting the children. The Mayor of Whoville will make an appearance, as will the Grinch, and he will have the honor of turning on the downtown lights to officially kick-off the holiday season. A highlight of the day will be the second annual lighted Christmas Parade. It will begin at 5pm on the corner of College and Elm, travel up College and then down second street. All floats are required to be lit up. Those interested in the parade need to fill out the parade entry form and return it to the Chamber of Commerce office located at 109 W. Main. The Chamber of Commerce has ordered a limited-edition puzzle and residents will be able to go into different businesses to collect all 28 pieces. Returning again this year is the Home-Based Business showcase. Those with home-based businesses will have the opportunity to reserve space on the west side of People’s State Bank and showcase their products and services. This was a big hit last year and the Chamber is looking forward to expanding it this year. Greenville Chamber of Commerce Director Elaine McNamara said the Chamber is encouraging all downtown businesses to decorate their storefronts downtown and to include the Whoville theme. Greenville University and the Greenville Chamber of Commerce have announced the hiring of a joint director for the Chamber and the university’s SMART Center. Elaine McNamara of Pocahontas has begun work. As director of both entities, she will enhance the growth partnership between the small university and small town, and between students and business owners. . . .
SMART offers professional and technical assistance to grow local companies and encourage business start-ups. Chamber President Randy Alderman believes having the joint employee will help the Chamber better serve the community and its members. He is pleased to have McNamara on board. Alderman told WGEL a great committee interviewed several candidates. He said McNamara is already on the job and brings with her a great deal of experience. He said the addition of McNamara will bring stability to the role that has been lacking in recent years. McNamara told us she grew up in Farmington, MO and attended Mizzou. She’s lived in Illinois for 22 years, having lived previously in Alton, Collinsville, and Highland. She now lives near Pocahontas. McNamara has an art degree and was a graphic artist for several years. She has done web design and was a small business owner. She is ready for the new challenge. She is excited about possibilities for both the Chamber and SMART Center. She’ll be visiting businesses soon. The SMART Center is in the former Masonic Building on the downtown square. For now the Chamber office remains in the Bradford Community Building. According to the university, the SMART Center space will be used by 6 to 10 local businesses immediately following renovations. It is hoped to be open in the spring. Mike Aden, Center project manager, estimates the initiative could generate 80 jobs over the next five years. Photo and Story courtesy WGEL 101.7 FM Daily News. 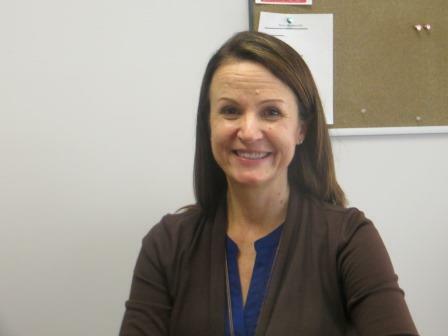 Click Here for sound bytes from the new Chamber & SMART Center Director, Ms Elaine McNamara. 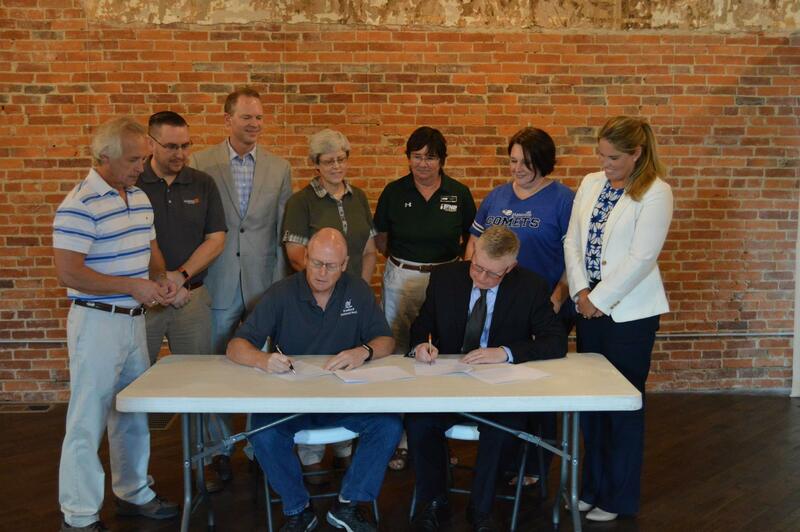 Greenville University and the Greenville Chamber of Commerce have signed an agreement this week detailing plans to benefit both the University and the local business community through the employment of an individual who will work with both organizations. . . The full-time position will work half time for the Chamber and half time for Greenville University on the Greenville SMART initiative. Greenville SMART programming works to unify the resources and connections of Greenville University with the entrepreneurial spirit of local businesses to foster economic growth. 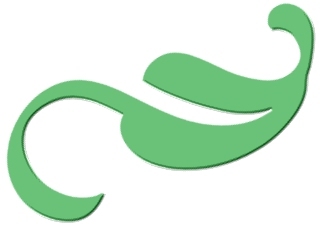 The Greenville Chamber is a local organization dedicated to growing, supporting and educating the business community in Greenville, and also connecting visitors and residents alike with local business. This joint Chamber/University employee would work with both groups to maintain communications, host events and liaison with local businesses, among other duties. View the job posting online. Greenville University anticipates a strong, positive impact on the local economy as a result of Greenville Smart initiative and the Greenville SMART Center, a renovated historic building on the Greenville Square which will serve as a center of operations for the initiative. Greenville University is an accredited Christian liberal arts university with more than 1,200 traditional undergraduate, graduate, and adult degree completion students. Its University Pathways intensive English learning program prepares international students to study at higher educational institutions in the United States. Founded in 1892 and affiliated with the Free Methodist Church, the University is located in Greenville, Illinois, 45 miles east of St. Louis, Missouri. For more information visit www.greenville.edu. The Greenville Chamber of Commerce is a community service organization dedicated to supporting the local business community. For additional information, visit www.greenvilleilchamber.org, call 618-664-9272 or email randy@bradfordbank.com. Photo: At the Table: Randy Alderman, President of the Greenville Chamber and Ivan Filby, President of Greenville University sign the official agreement. Standing: Left to Right: Robert Ellsworth, Chamber Treasurer; Ryan Champ, Chamber Vice President; Brian Nall, Chamber board; Janice Romack, Chamber board; Pat Kious, Chamber Secretary; Noel Harnetiaux, Chamber board; Suzannne Davis, Executive Vice President of Greenville University. Appearing will be Didi Conn (Frenchie), Barry Pearl (Doody), Jamie Donnelly (Jan) and Eddie Deezen (Eugene). This is a return appearance for Deezen, who was a guest at last year’s car show. Originally debuting on Broadway in 1972, Grease became one of the biggest films of 1978. While John Travolta and Olivia Newton-John were the stars of the movie, the other members of the ensemble cast contributed much to its success. The movie has stood the test of time and has become a favorite of each generation since. The program begins at 6:30 p.m. with the movie scheduled to begin at approximately 7:15 p.m. Tickets are $7 for adults and $4 for children 12 and under. They may be purchased in advance at Watson’s Drug Store and Bradford National Bank, both in Greenville, or by calling the Greenville Chamber of Commerce office at (618) 664-9272. The Greenville Graffiti Car Show, co-sponsored by the Greenville Chamber of Commerce and Greenville Tourism, has become one of the premier shows in the St. Louis area. Last year over 175 vintage cars and trucks participated. The Grease cast is also scheduled to sign autographs at the car show from 10 a.m. until 2 p.m.
Goldsmith is a Bond County native, graduating from Greenville High School. John went on to Southern Illinois University-Edwardsville, where he obtained a Bachelor of Science degree in Mass Communications. John is married to Gina Lewis Goldsmith. The former Executive Director of the Greenville Chamber of Commerce and Greenville Tourism, Goldsmith started several key events that still bring individuals to Greenville each year. Goldsmith has a keen eye for Cardinals baseball and started the Cardinals Baseball Luncheon. The event continues to grow in popularity. Goldsmith, along with a committee of volunteers, started what it is known today as the “Graffiti Car Show.” Each year, John shows his passion for the local area and finds more ways to continue to grow the event along with the help of the committee members. Goldsmith is dedicated to the Greenville area, and it shows in his involvement. Typical of his demeanor, you would never know how much volunteer time John truly puts in for his community. John has been involved on the Greenville Fire Protection District Board as a Board Member for 7 years, He has been a Greenville Cemetery Board Member for 14 years, where he has served as chairman and secretary, and led the effort to preserve the Montrose Mausoleum. He is also Past President of the Bond County Historical Society and past member of the Greenville Tourism Board and Kingsbury Park District Board. He served as President of the Greenville Bicentennial Board during the first two years of planning and founded the Bond County Independence Day Festival Association in July 2013 to bring fireworks back to Greenville. For 15 years, he organized and emceed dozens of trivia nights to raise funds for several not-for-profits, helped with Relay for Life and Lemuel Rhodes Cancer Foundation, and is also a member of the Bond County CEO Board since its inception in August 2016. Along with being part of organizations in the Greenville area, John was the Executive Director for National Road Association of Illinois for 5 years. The winner of the Gerald Turley Memorial Award is selected by a special committee of the Chamber of Commerce. Created in 1994 to honor a Greenville citizen who has demonstrated personal sacrifice, involvement, innovation, and community leadership to promote the success of Greenville, the award was named for Gerald Turley, a former mayor. The program honoring this year’s recipient will be held May 3 at Donnewald Distributing Company. Hrabosky was a left-handed reliever for the Cardinals from 1970 to 1977, during which time he compiled a 40-20 win/loss record, 2.93 ERA, and 59 saves. In 1975, Hrabosky was named the National League Fireman of the Year after a dominating season with 13 wins, 22 saves, and a 1.66 ERA. He finished third in the Cy Young Award and eighth in the MVP balloting that year. Hrabosky became famous for “psyching up” on the mound, turning his back on home plate, taking a deep breath, and pounding the ball into this glove, before turning around to face the batter. Hrabosky, known for his signature facial hair, was forced to shave in the 1977 season under new manager Vern Rapp. Hrabosky was traded in the off season to the Kansas City Royals. He later played for the Atlanta Braves before moving to the broadcast booth. He’s been a Cardinals announcer since 1985. A teammate of Bob Gibson, Lou Brock, Ted Simmons, Bob Forsch, George Brett, Phil Niekro, and Dale Murphy, Hrabosky is guaranteed to have countless entertaining stories. Tickets are $15 for adults and $7.50 for students and may be purchased at Watson’s Drug Store until Monday, May 14 at 5 p.m. The ticket price includes program, meal, and one autograph. For more information, contact the Greenville Chamber of Commerce at (618) 664-9272. UPDATE: Barry Pearl has resolved his scheduling conflict and WILL be making his appearance at this year’s Greenville Graffiti Car Show! Originally debuting on Broadway in 1972, Grease easily made the transition to the big screen in 1978, becoming the year’s biggest grossing film. Additionally, the soundtrack album sold 28 million copies. The story takes place in the 1950s and revolves around Danny Zuko, a greaser, and his romance with Sandy, the new girl in school. The duo is joined by members of the school’s cliques—the T-birds and the Pink Ladies. Fans of Didi Conn will remember her for not only her work in Grease, but also her role as Stacy Jones on the children’s TV series Shining Time Station. She was also a regular on the popular 1980s show Benson and made appearances on Highway to Heaven, L.A. Law, and Law and Order: SVU. Barry Pearl and Jamie Donnelly appeared in stage productions of Grease, prior to getting their roles in the movie. Pearl made guest appearances on dozens of TV shows including Hill Street Blues, Murder She Wrote, and ER. He also was a regular cast member in comedy legend Don Rickles’ show CPO Sharkey. Donnelly played Jan in both the stage and film versions of Grease. She also starred in the original stage production of Rocky Horror Picture Show. Eddie Deezen is back by popular demand after a memorable appearance at last year’s Greenville Graffiti Car Show. His role as Eugene in Grease has brought him countless fans, but Deezen also left his mark in films like The Polar Express, War Games, and 1941. All the celebrities appear courtesy of In Person Productions. Another car show tradition is the Friday night question/answer program with the celebrities. Additional details will be announced in the near future on that event. The Greenville Graffiti Car Show, co-sponsored by the Greenville Chamber of Commerce and Greenville Tourism, has become one of the premier shows in the St. Louis area. Last year over 175 vintage cars and trucks participated. The Grease cast is scheduled to sign autographs from 10 a.m. until 2 p.m. that day. Nomination letters should include detailed reasons why the individual qualifies for the award with emphasis on the areas listed in the criteria - personal sacrifice, involvement, innovation, and community leadership to promote the success of Greenville. Letters may be submitted to the Greenville Chamber of Commerce, P.O. Box 283, Greenville, IL 62246. Deadline for submissions is February 28. Those who have been nominated but not selected in the past may be nominated again. The recipient of the Gerald Turley Memorial Award is chosen by a special committee of the Chamber of Commerce. The award will be presented during a program held in the spring. 2009 Boyd E. McCracken, M.D. For more information about the Gerald Turley Memorial Award, other Chamber events or membership, check out the Chamber website at www.GreenvilleILChamber.org, find the Chamber on Facebook at GreenvilleILChamber or contact Kayley Woker at 618-664-9272. The Greenville Chamber of Commerce seated its directors and elected officers for 2018 at the February 8 board of directors meeting. Elected officers for 2018 are Randy Alderman, President; Ryan Champ, Vice President; Pat Kious, Secretary; and Robert Ellsworth, Treasurer. ..
Alderman, who is vice president at Bradford National Bank, had previously served as vice president for the organization. He is also familiar with the Chamber of Commerce, having served as the first Executive Director, a position he held for 13 years. He said, “I’m excited to serve as Chamber president and look forward to growing the organization as we work to move Greenville forward.” Champ, Banking Center Manager at Midland State Bank, Kious, Vice-President of First National Bank Greenville and Ellsworth, who is returning for another term as Treasurer, Managing Broker and owner of Wall Real Estate, will serve for one year. The Greenville Chamber of Commerce also welcomed two new members to the board as of January 2018. Noel Harnetiaux, Bond County Realtors, and Tom Kennedy, WGEL, have both accepted an invitation to fill the vacancies on the Greenville Chamber of Commerce Board. Other Chamber board members for the coming year are Michael Diaz, Alan Gaffner, Steve Morgan, Troy Oldham, Wes Olson, Janice Romack, Brian Nall, Linda Myette and Dave Willey. Kayley Woker serves as the organization’s executive director. Earlier this year, the Chamber accepted the resignation of board member John Kennedy, who has served over 20 years on the board. The Chamber is excited to serve its members in 2018. The Chamber has steadily increased the programs provided to members, and we plan to continue growing the possibilities. We will continue to provide several signature programs such as Business After Hours, New Faces and Places, Cardinals Baseball Lunch, Graffiti Car Show. We hope that you continue to join us. The parade will be in conjunction with the Coming Home for Christmas celebration, which is a yearly event held the Saturday after Thanksgiving in downtown Greenville. It marks the “official” start of the holiday season and traditionally includes the annual courthouse lighting, a visit from Santa, and an opportunity to visit participating businesses on the square. The parade will follow the showing of, A Christmas Story, on Saturday evening. The Chamber is inviting all businesses, churches, organizations, and individuals to join this fun event with a float of their own in the parade. Our parade theme is, of course, A Christmas Story! In addition to the cast of A Christmas Story, Mr. & Mrs. Claus will make their first official appearance in Greenville during the parade. Don’t forget to light up your float and even add some music. Come out and join us for the fun! We ask that anyone participating in the parade contact the Greenville Chamber of Commerce to fill out a participation form. Click Here to Download the Parade Form!. 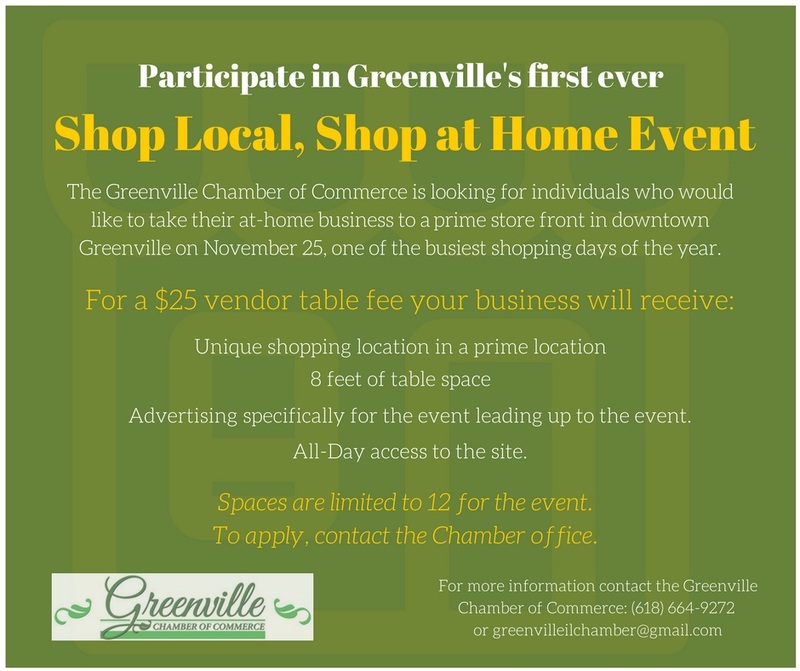 The Greenville Chamber of Commerce is looking for individuals who would like to take their at-home based business products to the downtown area for one of the busiest shopping days of the year. This unique promotion will be in conjunction with the Coming Home for Christmas event held the Saturday after Thanksgiving in downtown Greenville. It marks the “official” start of the holiday season and traditionally includes the annual courthouse lighting, a visit from Santa, and an opportunity to shop participating businesses on the square. For a $25 vendor table fee you will receive access to a unique retail experience in Downtown Greenville, eight feet of table space, and advertising specifically for your business leading up to the event. Tables will be pre-placed at the location and will be first come, first serve the day of the event. There will only be 12 spots available this year. Due to space limitations, you MUST contact the Chamber to participate in Shop Local – Shop at Home. To fill out an application, please contact the Greenville Chamber of Commerce at (618) 664-9272. Some restrictions may apply. Please contact the Chamber by November 1. The Greenville Chamber of Commerce, in conjunction with Greenville Tourism, is excited to announce the Coming Home for Christmas – A Christmas Story, event on November 25, 2017. ..
Coming Home for Christmas is a yearly event, held the Saturday after Thanksgiving in downtown Greenville. It marks the “official” start of the holiday season and traditionally includes the annual courthouse lighting, a visit from Santa, and an opportunity to visit participating businesses on the square. Several new activities are being added to this year’s event. 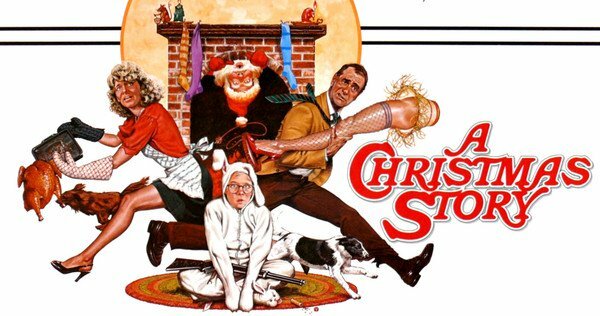 Cast members from the 1983 classic, A Christmas Story, will be on hand to add to the festivities. They will be available for a question and answer session, autograph signing, and the lighting of the court house. More about their visit will be made available in the future. The Chamber is also excited to announce it will host the inaugural Lighted Christmas Parade through downtown Greenville. The parade will follow the showing of, A Christmas Story, on Saturday. The Chamber is inviting all businesses, churches, organizations, and individuals to join this fun event with a float of their own in the parade. Our parade theme is, of course, A Christmas Story! For more information about Coming Home for Christmas or having a float in the parade, contact Chamber Director, Kayley Woker at 618-664-9272. Michael J. Diaz, President of the Greenville Chamber of Commerce and Dave Willey, City Manager are pleased to announce the hiring of Kayley Woker as the new Executive Director for the Chamber and Tourism Director for the City of Greenville. Kayley will take over on August 14, 2017. ..
Kayley comes to us from the Illinois Farm Bureau where she was a County Manager Trainee. She has a Bachelor’s degree in Agricultural Systems from SIU – Carbondale with a minor in Ag Business Economics. We believe that Kayley and her high energy will be a valuable asset to both the Chamber and the City. With her background in Ag Business, she will be able to help Chamber members grow their businesses and increase tourism, especially in the area of Ag Tourism. Kayley is very excited to take on her new responsibilities, and play an active role in growing Greenville. Show Coordinator John Goldsmith said the pre-show event on Friday is a tradition of the car show. 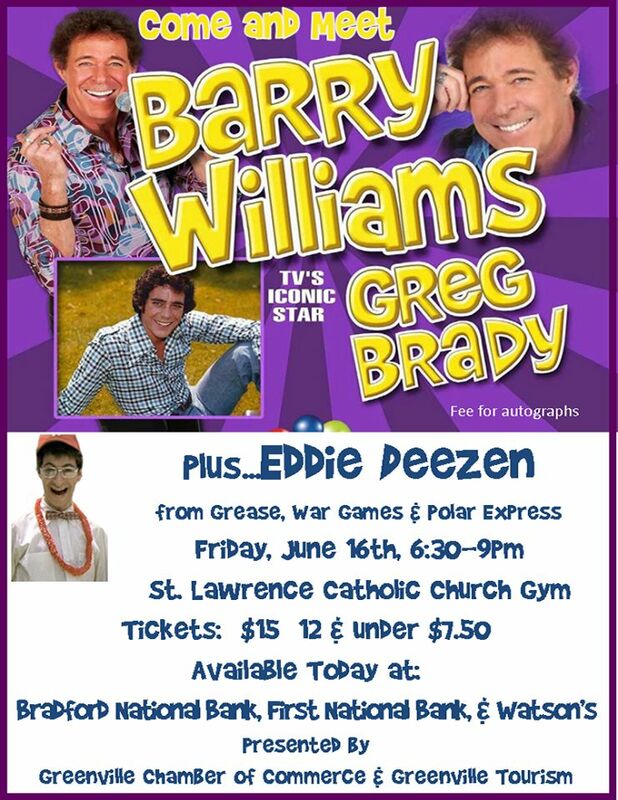 Attendees will have the chance to meet Barry Williams and Eddie Deezen in a relaxed atmosphere Friday beginning at 6:30 PM in the St. Lawrence Catholic Church gym. St. Lawrence youth will have snacks available. 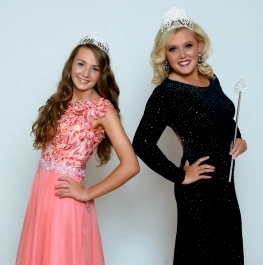 Tickets are available at The First National Bank, Watson’s Health Mart Drug Store, and Bradford National Bank..
Friday’s event is once again from 6:30 to 9 p.m. at St. Lawrence Catholic Church gym in Greenville. Members of the community gathered in the Krober Room on the Greenville College campus Thursday night to honor a man who has made an incredible difference in the Greenville community. 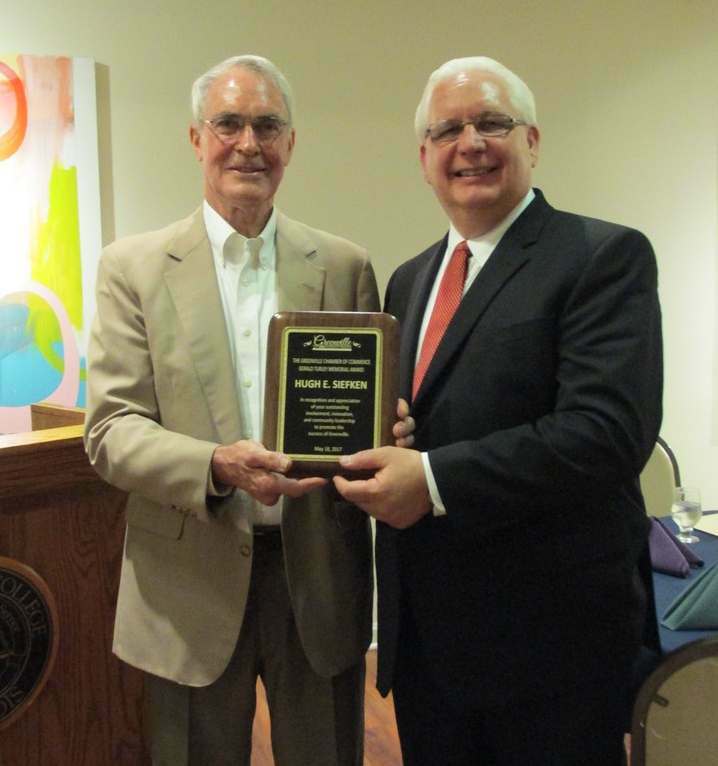 This year's Turley Award recipient, Dr. Hugh Siefken, was honored by friends and colleagues. ..
"His efforts have made a true difference," Chamber of Commerce Board President Michael Diaz said of Dr. Siefken's local accomplishments. "Not only locally but statewide, nationally, and internationally. His success did not come together overnight. His works span over many years, in many areas." Mayor Alan Gaffner was the first to speak from a perspective of someone who was a staff member at the hospital when Dr. Siefken was on the board... "I observed his invaluable contribution to the organization. For 15 years, from 1992 to 2007, Dr. Siefken served on the Greenville Regional Hospital Board of Directors, where he was repeated elected first vice-chairman. During his tenure, the organization experienced some of the most successful years of financial performance, enhancement of medical services, and expansion of the medical campus and facilities." Mayor Gaffner further stated, "I share a story that embodies and validates the personal integrity and character of Dr. Siefken. After his son, Dr. Phil Siefken, a specialist in Family Practice, Internal Medicine, and Pediactrics, returned to Greenville to join Greenville Medical Associates, Dr. Hugh Siefken stepped down from the hospital board. I remember talking with Hugh and expressing what many of us believed would be a significant loss of his service on behalf of the hospital. Hugh explained that he believed it would be a conflict of interest for him to serve on the hospital board, even though the hospital was not the employer of his son. Hugh did not want to create even the appearance of a conflict of interest. An unselfish act that demonstrates great personal integrity." Dr. Siefken's friend and colleague, Dr. William Ahern, spoke next, speaking from the heartfelt perspective of a long time friend. Dr. Ahern told the audience of Dr. Siefken's beginnings, how he moved from Indiana to Greenville to study at Greenville College. "He was only going to stay one year to see how he liked it, but he graduated four years later. He met his wife, Marie, in Greenville and they both moved to Kansas to study at the University of Kansas, where he earned his PhD in Nuclear Physics. After moving to Vancouver for work, Dr. and Mrs. Siefken eventually realized that they missed Greenville and all that the small Illinois city offered. So they returned where Dr. Siefken took a job teaching at Greenville College. Dr. Ahern noted that Dr. Siefken loves woodworking, among other hobbies, and in his work researching nuclear physics while a professor here, has constructed the only low-energy accelerator in Southern Illinois... "I am proud to call him friend of nearly 50 years," Dr. Ahern concluded. Gary Farnsworth, Dr. Siefken's colleague on the Planning Commission, was the last of the speakers. "Often in conversation with individuals from other colleges, Hugh's name would come up with words such as intelligent, humble, witty, super nice, caring, and all of these describe Hugh. Sometimes I thought of the phrase 'a jack of all trades and master of none', but that doesn't really apply to Hugh, because not only is he a jack of all trades, he is master of all of them as well." Farnsworth spoke of Dr. Siefken's dedication to personal projects such as the Rod and Gun Cub, which he helped purchase when the lot was to be sold. On the planning commission, Farnsworth described Dr. Siefken as responsible and very active in community projects such as the creation of the industrial park. "Very seldom would we disagree, but when we did, Hugh would make a point, and it would seem that Hugh was always right," Farnsworth said. "The committee has chosen exactly the right person for this award." Siefken accepted his award with a speech praising the four things he loves about Greenville: the town square, the geographical location, the residents' prioritizing health care and public schools, and the presence of Greenville College. Dr. Siefken concluded his address by doing what he has most of his life: focusing on the future of Greenville. "I am appreciative for all the development in Greenville since I first saw it in 1958. I am anticipating even more development in the years ahead because Greenville has these four areas in place which, to me, make it special and give it a promising future." Story and Photo by staff writer Emily Lucia of The Greenville Advocate newspaper and available in its entirety in the Tuesday, May 23, 2017 issue. 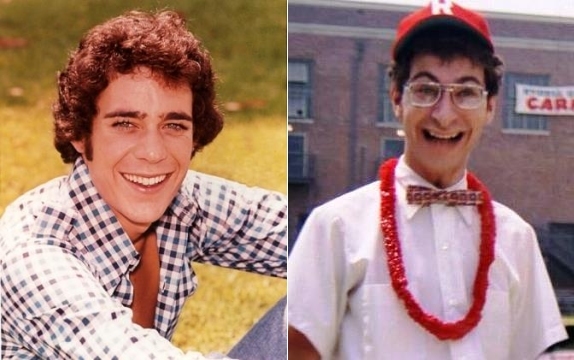 Barry Williams, who starred as Greg Brady on the legendary comedy TV series The Brady Bunch, and Eddie Deezen, who played Eugene Felsnic in Grease and Grease 2, will appear at the show on Saturday, June 17. Their appearance continues a Greenville Graffiti Car Show tradition of featuring celebrities. Williams portrayed the Greg, the eldest Brady son, from 1969 to 1974. However, the show has lived on in syndication for generations to enjoy. He has guested on scores of television shows including Dragnet, Adam-12, Mission: Impossible, and Murder She Wrote. After the success of The Brady Bunch, Williams transitioned to musical theater and in recent years has performed regularly in Branson, MO. Along with his work in Grease and its sequel, Deezen played Herbie the aspiring ventriloquist in Steven Spielberg’s film 1941. He also co-starred in War Games and did voice-over work for The Polar Express and the animated series Dexter’s Laboratory. 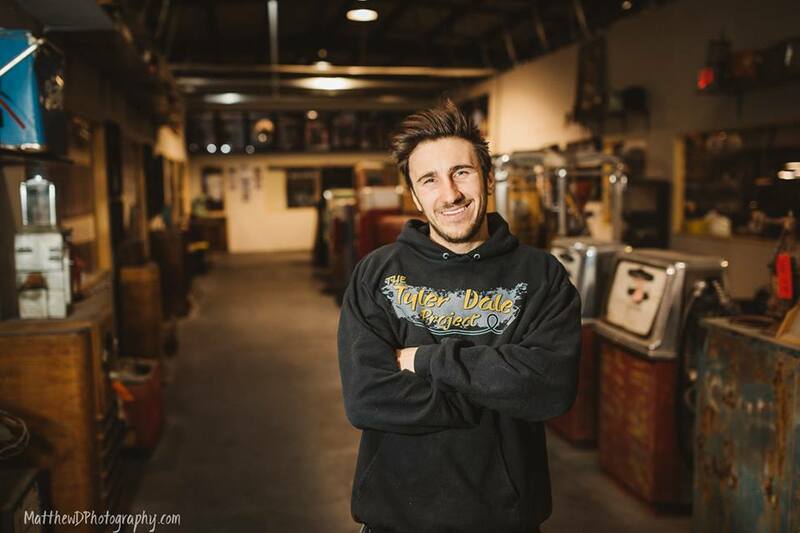 Williams and Deezen join Tyler Dale from American Restoration, who had been announced earlier. Tentatively the celebrities will be signing autographs from 10 a.m. to 2 p.m., Saturday, June 17. Another car show tradition is the Friday night question/answer program with the celebrities. Additional details will be announced in the near future on that event. The Greenville Graffiti Car Show, co-sponsored by the Greenville Chamber of Commerce and Greenville Tourism, has become one of the premier shows in the St. Louis area. Last year over 230 vintage cars and trucks participated. 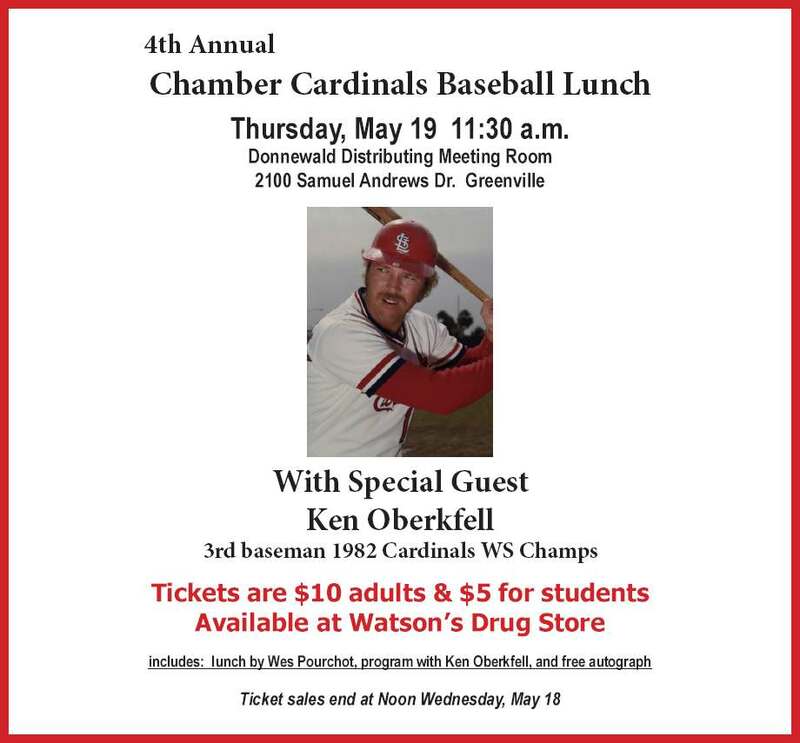 A member of the 1985 and 1987 National League champion St. Louis Cardinals is the featured guest at the 5th Annual Greenville Chamber of Commerce Cardinals Baseball Lunch. 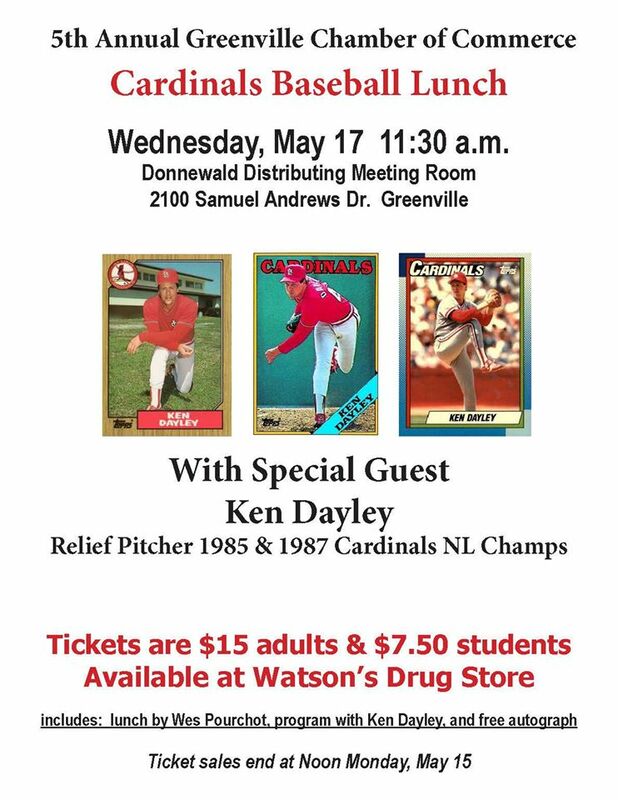 Ken Dayley, a left-handed reliever over 11 major league seasons, will greet fans and participate in a question and answer program during the lunch on Wednesday, May 17 at 11:30 a.m. at the Donnewald Distributing meeting room in Greenville. ..
Coming up through the Atlanta Braves minor league system, Dayley came to the Cardinals in a 1984 trade in exchange for Ken Oberkfell. Dayley soon asserted himself as a reliable reliever in Manager Whitey Herzog's bullpen. He had one of his best seasons in 1985 when he appeared in 57 games, winning four, and saving 11 while posting a 2.76 ERA. Dayley's success continued in the postseason that year as he was not scored upon in either the NLCS against the Dodgers or the World Series against the Royals. In his major league career, Dayley had a microscopic 0.44 ERA in 16 postseason appearances for the Redbirds. Dayley's major league career ended in 1993 with the Toronto Bluejays. His daughter, Sara, is a popular broadcaster on Fox Sports Midwest. The Cardinals Baseball Lunch is one of the Greenville Chamber of Commerce's most popular events open to the public. Guests in previous years have included Danny Cox, Jack Clark, Ken Reitz, and Ken Oberkfell. Tickets, which are $15 for adults and $7.50 for students, go on sale Tuesday, May 2 at Watson's Drug Store. Deadline to purchase them is noon Monday, May 15. The ticket price includes a catered lunch by Wes Pourchot, the program with Ken Dayley, and complimentary autographs. Donnewald Distributing is located at 2100 Samuel Andrews Drive in the Howard M. Wolf Business Park. For more information, contact John Goldsmith at (618) 322-2936. Dr Siefken served 31 years on the Greenville Planning Commission, including 24 years as chairman, he served on the hospital board of directors, and he worked on the master plan for the Wolf Industrial Park. He is active in the Free Methodist Church and is a former president of the Rod and Gun Club. Dr. Siefken is a retired Greenville College professor. The Turley award is named for former Greenville Mayor, the late Gerald Turley. The award was named for Turley because of his service in local government, the Chamber of Commerce, and his years in Business in Greenville. The Turley Award will be presented at a public reception that should be scheduled sometime in May. Tyler has experience in many skills, doing everything from welding to plasma cutting to reverse engineering of machinery. When he is not working on restorations, Tyler also does metal fabrication. He loves to “make something from nothing.” Creating and designing is his forte. Tyler loves working on anything old and vintage, one of his favorite aspects of working at Rick’s Restorations. In addition, he also started a business called The Tyler Dale Project (www.tylerdaleproject.com) and does appearances at venues across the country. He loves meeting fans, discussing projects, and admiring amazing cars. In his spare time, Tyler enjoys air bagging trucks, drinking specialty coffees and iced teas, and playing with his dog Ranger, a German Shepherd. He also volunteers at Vegas Shepherd Rescue in Las Vegas, Nevada, and at Camp PossAbility in Indiana. Additional celebrities will be announced in the near future. The Greenville Graffiti Car Show, co-sponsored by the Greenville Chamber of Commerce and Greenville Tourism, is Saturday, June 17 with registration from 9 to 12. It is open to cars and trucks from 1992 and older for judging or any vintage for display only. This year plaques will be awarded to the Top 50 overall and Top 10 pre-49 street rods. Special 50th anniversary awards will go to the top Camaro, Cougar and Firebird. Another new category is most creative rat rod. Food booths and a craft/vendor fair will also be offered that day. Her tenure will end on Friday, March 17. Three days later, she will walk across the street and start her new job in lending and business development at Bradford National Bank. 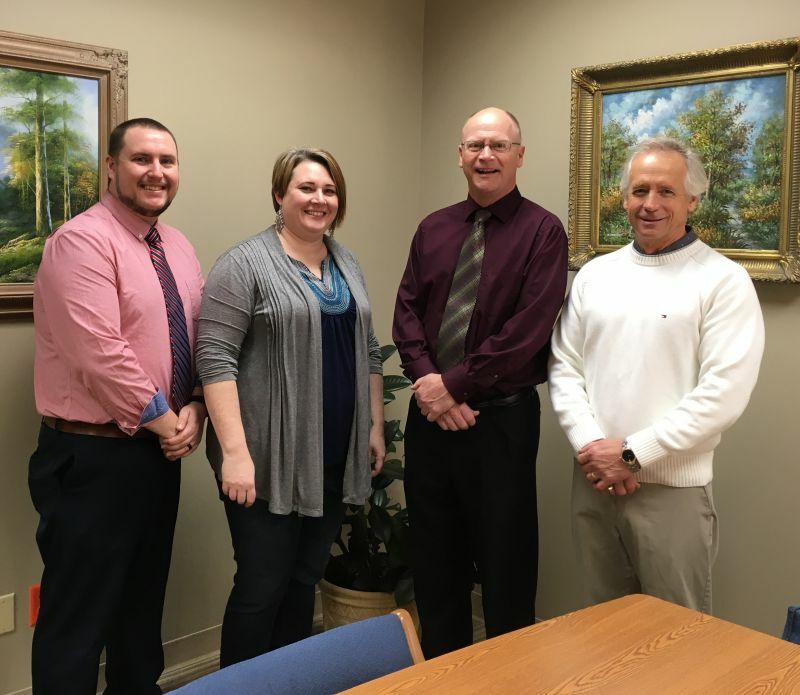 "I hope I was able to help the chamber members get to know each other better," said Suess, who graduated in December from Greenville College with a double major in public relations and human resources. "I also wanted to enhance the communication within the organization by keeping members informed." The daughter of Mike and Joanne Suess of rural Greenville, she said that growing up on a farm allowed her to talk with her father about the business side of the operation. "Banking is a pretty new world for me," Suess said. "But I'm excited to learn new things and be a part of a business that has been in the community for 150 years." Michael Diaz, current chamber president, said Suess "has been a tremendous asset to the chamber and the city in the short time she's been in the position. She brought a lot of new ideas to the chamber -- particularly the videos she did with members. Her departure will be a loss. Diaz said that he's met with Suess to get status updates on all the major projects she's working on. "We've also had other chamber members who've stepped up, so that things don't fall through the cracks," he said. "We're actively seeking resumés from people interested in the position." Story by Dave Bell of The Greenville Advocate newspaper and available in its entirety in the Thursday, March 9, 2017 issue. 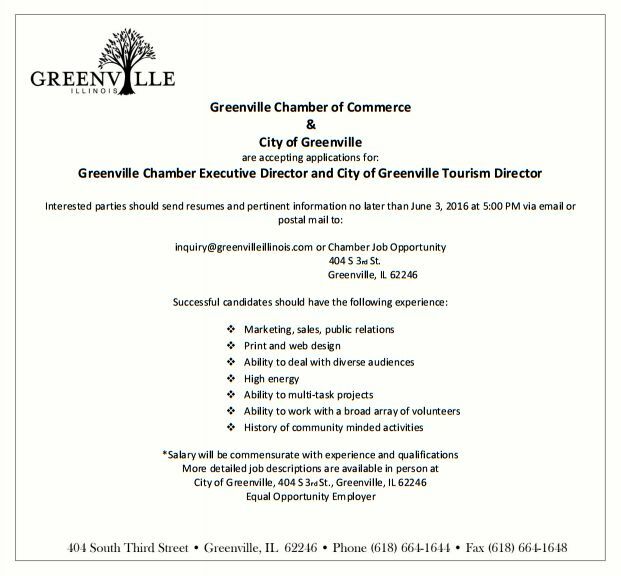 New Chamber Executive Director/Greenville Tourism Director Being Sought. The city manager said Suess has promoted many Chamber of Commerce events during her seven months and has remained active in the tourism position. Suess is leaving the chamber and city positions to work in the lending and business development departments at Bradford National Bank. Aki has many stories about his days at G.C. including the generosity of the professors. He lived in the Embassy men's dormitory. On his recent visit, Aki met with Jerry Wall, who was his barber during college days. He and his wife also visited City Hall, the Chamber of Commerce, Greenville College and the DeMoulin Museum. While Aki lives in his native country of Japan, he is well versed in American history and has good memories of the country. When it was mentioned Aki knew the national anthem, he quickly broke out in song. He owns a United States flag and said he flies it on July 4th. 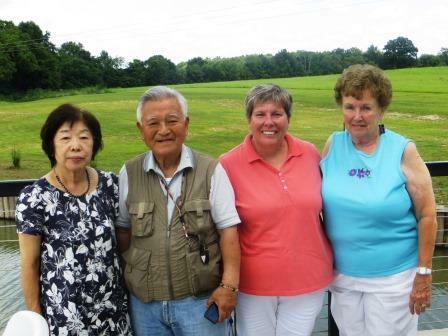 Aki and his wife were escorted in Greenville by Sandy Kleinik, and Suzie Cooper the wife of Aki's best friend in college the late Rich Cooper. Bond County Fair Runs August 4 - 9; Finishes with Parade & Fireworks! Stick around after the parade for a fireworks display! Carnival armbands are available for purchase every night this year. The city manager said Suess will bring new ideas and excitement to the position. At Greenville College, she is majoring in communication/public relations, and will finish her degree later this year. 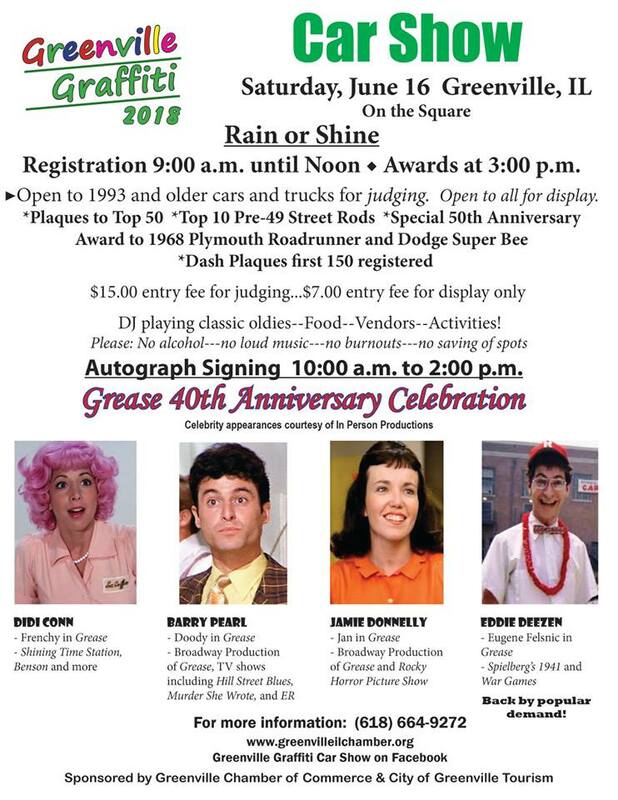 Stars Anson William, who played Potsie, Don Most, who played Ralph Malph, and Erin Moran, who played Joanie Cunningham in the show Happy Days, are the featured celebrities for the 5th annual Greenville Graffiti Car Show, which will be held the following day. The event will include a celebrity Q & A, a costume and cast member lookalike contest, 50s music, dancing and a dance contest, games, and a special sneak peek from the Hard Road Theatre performance of the musical, Happy Days. Plus, the celebrities will be signing autographs and taking pictures for a fee. Additionally, burgers, hot dogs, chips and root beer floats will be served at the diner. Happy days aired on ABC TV from 1974 until 1984. The show was created by Gary Marshall, and the series presented an idealized vision of life in the mid-1950s to the mid-1960s. Tickets for the event are $20 and include refreshments. They can be purchased at Bradford National Bank, First National Bank, and Watson's Drug Store in Greenville. Tickets will also be available at the door. The celebrities will also be signing autographs Saturday, June 18, from 10am – 2 pm at the 5th annual Greenville Graffiti Car Show downtown. Purchase your tickets ($20 each) at Bradford National Bank, First National Bank, Watson's Drug Store, or by mail to P.O. Box 283 Greenville IL 62246. Board members include the late Lester Harnetiaux, Bill Johnson, Dave Willey, Gayle Wise, Jeff Leidel, Jerry Moyer, Jon Coleman, John Goldsmith, Liz Kious, Pat Kious, Randy Alderman, Ron and Judy Schroeter, Tom Kennedy, Alan Gaffner, Allan Davis, Jenara Willman, Liz Heinzmann, Jerri Davenport, and board chairman Rex Catron. Tickets to the Gerald Turley Award ceremony are $15 and are available at Bradford National Bank, First National Bank, Midland State’s Bank, and Watson’s Health Mart Drug Store. The program on May 23 will include a dessert reception and program at 6:30 p.m. Doors open at 6:00. Click the image above for an event poster to post, print, and share. A product of the Cardinals minor league system, Oberkfell made his major league debut for the Redbirds on August 22, 1977. Originally a second baseman, he made the switch to third base and was a key member of the team's 1982 World Series victory. Oberkfell batted .292 in the Series as the Cardinals defeated the Milwaukee Brewers in seven games. Known for his steady defense, Oberkfell was a lifetime .278 hitter. He later played for the Atlanta Braves, Pittsburgh Pirates, San Francisco Giants, Houston Astros, and California Angels. His last season was 1992. 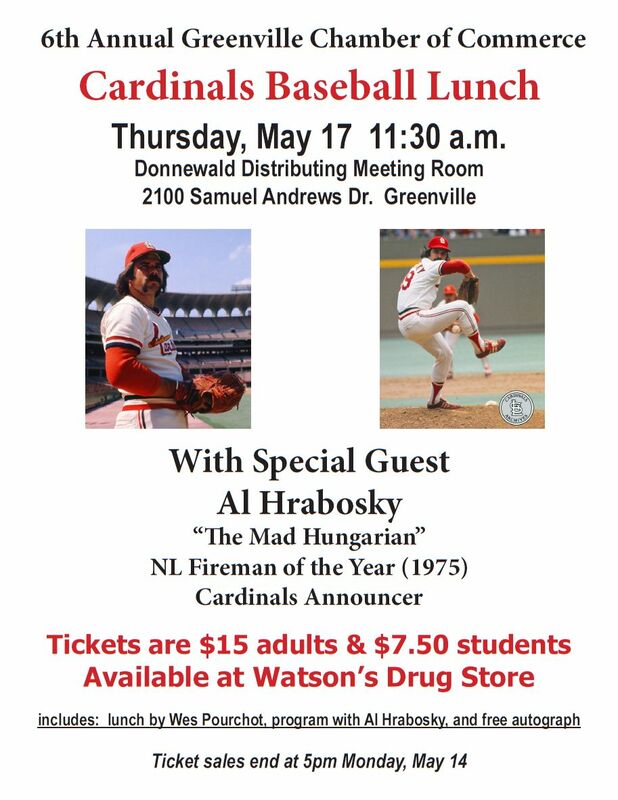 The Cardinals Baseball Lunch is one of the Greenville Chamber of Commerce's most popular events open to the public. Guests in previous years have been Danny Cox, Jack Clark, and Ken Reitz. Tickets, which are $10 for adults and $5 for students, go on sale Monday, May 2 at Watson's Drug Store. Deadline to purchase them is noon Wednesday, May 18. The ticket price includes a catered lunch by Wes Pourchot, the program with Ken Oberkfell, and complimentary autographs. Donnewald Distributing is located at 2100 Samuel Andrews Drive in the Howard M. Wolf Business Park. Click the image on the right for an event poster to post, print, and share. The book tells the story of the May 2014 cross-country journey that Emde and a group of fellow motorcycle enthusiasts made to celebrate the centennial anniversary of the same trip made by Erwin "Cannon Ball" Baker in 1914. Emde's group stopped in Greenville during their trek. He is excited about his return visit to the community and the opportunity to be a part of the Greenville Graffiti Car Show. Winner of the 1972 Daytona 200, Emde is also a member of Sturgis Motorcycle Museum and Hall of Fame. After his racing career, he focused on a new career as an author and publisher of books and magazines devoted to motorcycling. To accommodate Don's fans, a special parking area for motorcycles will be designated at the car show. 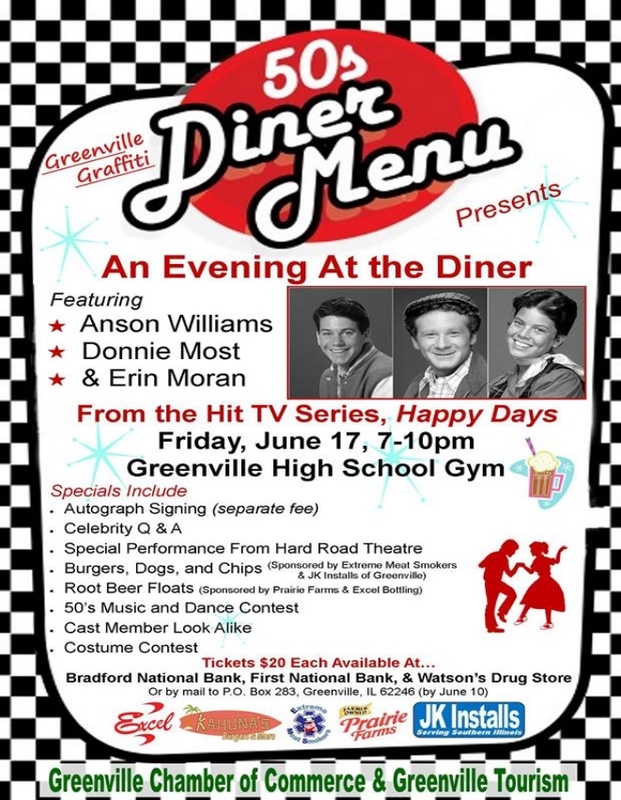 Three cast members of the classic television show Happy Days will also be signing autographs at the Greenville Graffiti Car Show on June 18. Anson Williams (Potsie), Don Most (Ralph Malph), and Erin Moran (Joanie) are reuniting for this special appearance from 10:00 a.m. until 2:00 p.m. that day. They will also appear the night before at a special ticketed event, "An Evening At The Diner". Registration for the car show is from 9:00 a.m. until noon with awards at 3:00 p.m. Cars and trucks from 1991 and older are eligible for judging. Entry fee is $15 for judging and $7 for display only. Dash plaques will be given to the first 150 registered. For more information, contact the Greenville Chamber of Commerce at 664-9272 or visit Greenville Graffiti Car Show on Facebook. Williams may be best known for his role as Potsie Weber - the gullible, socially awkward friend of Ralph Malph and Richie Cunningham. The Los Angeles native has had multiple appearances on such TV classics as "Laverne & Shirley", "Fantasy Island" and "The Love Boat", with more recent appearances in "Baywatch" and "Sabrina, The Teenage Witch". Williams has also had an extensive directing career with more than 40 productions to his name, from hit TV series of the 80s and 90s such as "LA Law", "Melrose Place" and "Beverly Hills, 90210" to more recent work on "Lizzie McGuire" and "The Secret Life of the American Teenager". Most, the girl-chasing practical joker Ralph Malph on "Happy Days", is a multi-talented actor, director and producer active in the film and television industry. Acting gigs have included a recurring role on the recent hit TV series "Glee" and more than 50 other shows throughout his career. In recent years, Most has also worked as director and producer on several projects, including his current work "Remember Isobel", a film that explores the impact of Alzheimer's on a family. Moran was a child star who appeared in numerous shows in the 60s and 70s, including "My Three Sons", "Gunsmoke" and "The Walton's", before landing the role of Joanie Cunningham on "Happy Days". Moran remains active in the entertainment industry with roles in TV favorites such as the "Love Boat", "Murder, She Wrote", and more recent work on "The Bold and The Beautiful". Moran also played a role in the 2010 independent cult classic "Not Another B Movie", a spoof on the behind-the-scenes world of the horror-film industry. The Greenville Graffiti Car Show on Saturday, June 18 is open to 1991 and older cars and trucks for judging. Vehicles may also be brought for display. Last year's event attracted more than 200 cars and trucks to downtown Greenville, Illinois. The Greenville Graffiti Car Show is sponsored by The City of Greenville Tourism and the Greenville Chamber of Commerce and coordinated by a dedicated committee of volunteers. The Car Show Committee is excited to celebrate the 5th year of the Car Show with the Happy Days cast and theme. The Car Show committee is finalizing details for a feature car and a special event Friday evening that will include a question and answer session with the stars, photo opportunities, food, and other fun. Look for more details to be announced on the Greenville Graffiti Car Show Facebook page at /GreenvilleGraffitiCarShow and on the Chamber website at www.GreenvilleILChamber.org. Nomination letters should include detailed reasons why the individual qualifies for the award with emphasis on the areas listed in the criteria - personal sacrifice, involvement, innovation, and community leadership to promote the success of Greenville. Letters may be submitted to the Greenville Chamber of Commerce, P.O. Box 283, Greenville, IL 62246. Deadline for submissions is March 15. 1998 Fred Baumberger 2009 Boyd E. McCracken, M.D. For more information about the Gerald Turley Memorial Award or the nomination process, contact April Crew-Kelly at the Greenville Chamber of Commerce by phone (618) 664-9272 or send an email to greenvilleilchamber@gmail.com. The event is open to the public, and those businesses wishing to be recognized are welcome to send a representative to speak to the group. Attendees are also encouraged to bring their business brochures, flyers, or other promotional pieces whether or not they are being featured. Chamber membership is not required for participation. Businesses being recognized are required to reserve a spot. To take part in the "New Faces & Places" event, please contact April Crew-Kelly at (618) 664-9272 or send an email to greenvilleilchamber@gmail.com. In conjunction with featuring Greenville's newest businesses, the event will serve as the Chamber's Annual Gathering of Members. The 2016 Chamber Officers and Directors will be publically announced. In addition, a brief report of 2016 opportunities and 2015 activities and accomplishments will be presented. The Greenville Chamber of Commerce is a member organization and Bond County's largest business association. With roots dating back to the 1920s, the Chamber has stood as the voice of business, supporting its members' success and championing community prosperity for more than 90 years. The Chamber represents more than 150 businesses and organizations in the Bond County area, and our strategic partners include the Illinois Chambers of Commerce, Greenville College, Kaskaskia College, South Central Illinois Growth Alliance, Small Business Administration, and Tourism Bureau ILLINOISouth. There are many ways to be involved and find value as a member of the Chamber. 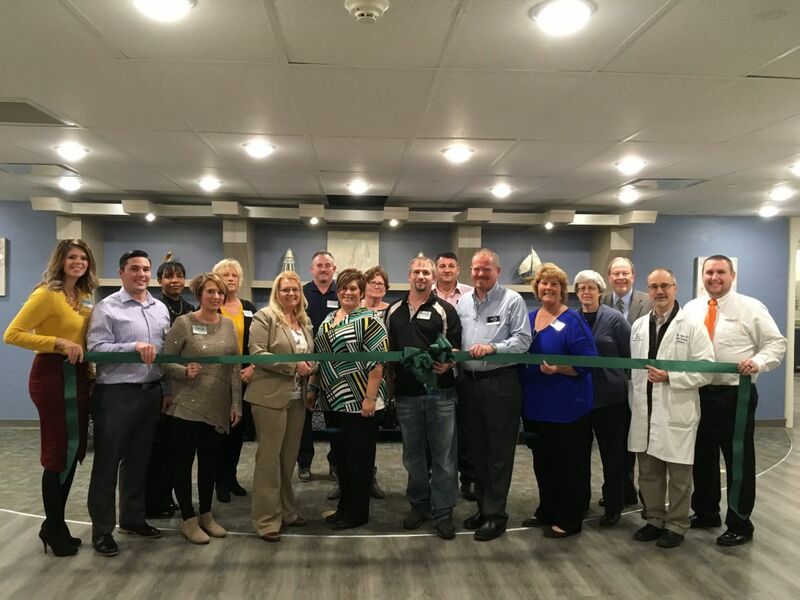 For more information about Chamber events or membership, check out the Chamber website at www.GreenvilleILChamber.org, find the Chamber on Facebook at /GreenvilleILChamber or contact April Crew-Kelly at 618-664-9272. Elected officers for 2016 are Michael Ritter, President; Mike Diaz, Vice President; Janice Romack, Secretary; and Robert Ellsworth, Treasurer. All of the officers were re-elected to their positions to serve for the 2016 year. Other Chamber board members are John Kennedy, Alan Gaffner, Brian Nall, Mike Diaz, Robert Ellsworth, Steve Morgan, Karen Kessinger, Troy Oldham, and Michael Ritter. The Chamber has seen significant growth of both members and programs over the past five years, with membership nearly doubling from fewer than 100 paying members in 2010 to more than 150 members in 2015. In addition, the Chamber has steadily increased the programs provided to members in the same period. New business programs added in 2015 included the Early Bird Networking event - a monthly early morning meet-up and education opportunity for Chamber members, and the Spring Work Fair. The Work Fair will be conducted in partnership with Greenville College in 2016 with a goal to expand the number of employment resources being provided to job-seekers in the community while also exposing GC students to more local businesses looking to hire. We also continue to provide several signature programs such as Business After Hours, The Gerald Turley Memorial Award—now in its 22nd year, and ribbon cuttings. The past five years has also seen the addition and growth of community favorites such as the Greenville Graffiti Car Show, Shop Local Campaigns, and the Chamber Facebook Page which now boasts a growing audience of more than 1200 - all people who are interested in Greenville and the businesses that serve this community. April Crew-Kelly serves as the organization's executive director. The Greenville Chamber of Commerce is a member organization and Bond County's largest business association. With roots dating back to the 1920s, the Chamber has stood as the voice of business, supporting its members' success and championing community prosperity for more than 90 years. The Chamber represents more than 150 businesses, and our strategic partners include the Illinois Chambers of Commerce, Greenville College, Kaskaskia College, South Central Illinois Growth Alliance, Small Business Administration, and Tourism Bureau ILLINOISouth. There are many ways to be involved and find value as a member of the Chamber. Judging is open to cars and trucks from 1990 and older. Plaques will be awarded to the Top 40 overall and the Top 10 pre-49 street rods selected by the judges. In honor of the Mustang, a special 50th Anniversary Award will be presented. The entry fee is $15 for judging or $7 for display only. The first 125 registered will receive complimentary dash plaques. Motorcycles are welcome for display this year. The classic vehicles will be parked along 2nd Street from the First United Methodist Church to Beaumont Avenue. Last year’s event attracted over 180 entries. Butch Patrick and Pat Priest, who co-starred as Eddie and Marilyn on the legendary 1960s TV series "The Munsters", will be signing autographs from 10 a.m. to 2 p.m. The Koach and Drag-ula, made famous on the show, will also be on display. Fans of "The Munsters" will be able to view episodes from 9 a.m. until 3 p.m. in the church sanctuary. Patrick and Priest will also greet fans at The Munsters Ball, a special event Friday night at the American Farm Heritage Museum's main building. Tickets are still available for $20 each and include the program, appetizers, a Dress Like Your Favorite Munster Contest, and dance. Tickets may be purchased at Watson's Drug Store, First National Bank, Bradford National Bank, or from the Chamber of Commerce office at 664-9272. A couple from Effingham, Illinois will be getting married at the car show. Randy Curry and Cindy Warner are car enthusiasts---Randy is also a big fan of "The Munsters". The couple wanted to get married with the Munster Koach and Drag-ula in the background. Much to their surprise, Butch Patrick is a licensed minister and has agreed to conduct the ceremony. The public is welcome to join the couple for the wedding at 9:30 a.m. as they'll exchange vows under the direction of Eddie Munster. The ceremony will take place on the parking lot of the First United Methodist Church, 310 S. Second. Other fun photo opportunities will be available at the Greenville Graffiti Car Show. Two members of the St. Louis Rams cheerleading squad will sign autographs and pose for photos from 11 a.m. until 1 p.m. Rafael from the Teenage Mutant Ninja Turtles will meet kids from 11 a.m. until 12:30 p.m.
Souvenirs commemorating Greenville's 200th anniversary may be purchased in a one day only Bicentennial Shop at 216 S. Second. Hours are from 9:30 a.m. to 3:00 p.m. At 12:15 p.m. a special auction of Bicentennial license plates numbered 1 and 200 will be held in front of the deejay tent. A craft and vendor show, sponsored by the Circle of Friends team and benefiting the Lemuel Rhodes Cancer Foundation, will be held from 9 a.m. until 3 p.m. on the Second Street municipal parking lot. Around fifty dealers are participating. Food booths will be operating from 10 a.m. until 3 p.m. near the intersection of Second Street and Summer Avenue. For more information, contact the Greenville, IL Chamber of Commerce at (618) 664-9272. Reitz, a Gold Glove winner in 1975 for his fielding excellence, was nicknamed "The Zamboni" for his ability to sweep ground balls off the artificial turf at Busch Stadium II. He set a National League record in 1980 as he committed only 8 errors at third base. Reitz played in the major leagues from 1972 to 1982; eight of those seasons came as a Cardinal. Reitz played in two famous games in Cardinal history: a 25 inning victory over the New York Mets in 1974 and Bob Forsch's no-hitter in 1978. He was an All Star in 1980, but was traded during the offseason to the Chicago Cubs for reliever Bruce Sutter. Reitz will participate in a question and answer session then sign autographs for fans. Tickets for the lunch, program and autographs are $10 per person and $5 for youth 18 and under. You may purchase tickets at Bradford National Bank and Watson's Drug Store in Greenville or by contacting the Greenville Chamber of Commerce at 664-9272. Old Fashioned Fridays has proven to be very successful as dozens of children and parents have gathered each week the event was held. In case of bad weather, Old Fashioned Fridays will not be held. For more information, call the Chamber office at 664-9272. 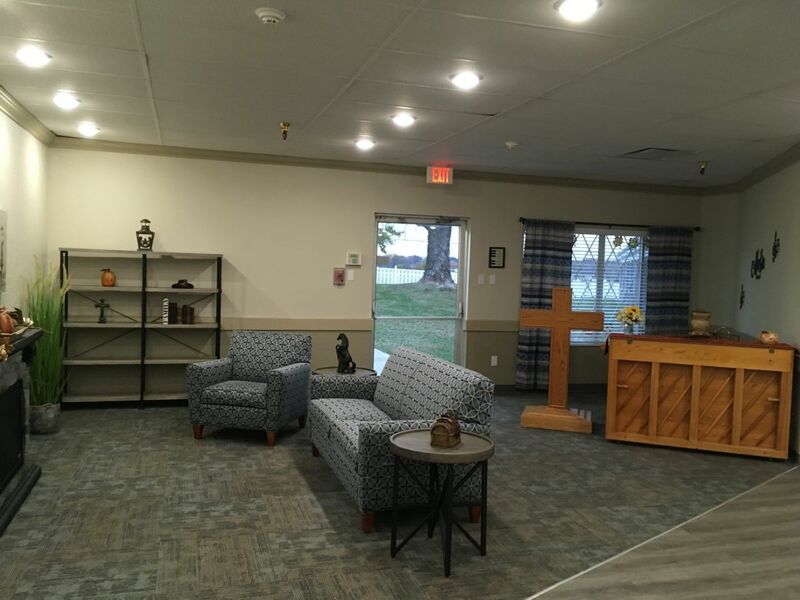 Jesse Tyrrell, Simple Room director, explained, "We've been looking for opportunities to get the students who attend The Simple Room more involved in the Greenville community. When the Chamber of Commerce approached us with this idea, it seemed like a perfect fit." "One of my pet projects for the last year has been finding a group who will pick up trash, pull weeds, and plant flowers around the square," commented John Goldsmith, Chamber of Commerce director. "Giving these young folks a reason to take ownership in our town while keeping the square looking attractive is a winning combination." The youth will also be planting flowers in planters to be installed on the new gazebo on the courthouse grounds. Goldsmith said downtown businesses that need windows washed, weeds pulled, or other beautification needs should contact the Chamber office to be added to the work list. The Simply Beautiful Project will continue on the third Wednesday of May, June, July and August. For more information, contact Jesse Tyrrell at the Simple Room 664-2894 or John Goldsmith at the Greenville Chamber of Commerce 664-9272. Chamber Director John Goldsmith said, "The Early Bird will feature a speaker for 10 to 15 minutes and then time for Chamber members in attendance to share the latest news on their businesses. We'll be done by 8:30 a.m. allowing everyone time to get ready for the work day." Goldsmith added that breakfast may be ordered from the Adam Bros. menu. The first Early Bird will be held Wednesday, April 22. For more information about the Chamber of Commerce, including membership, call 664-9272. Patrick and Priest, who portrayed Eddie and Marilyn Munster, will greet fans, pose for photos, and answer questions from the crowd at the Munsters' Ball. This special ticketed event will also include appetizers, a "Dress Like Your Favorite Munster" contest, the showing of a classic episode of the program, and a dance with a DJ. Sherry Schaefer, one of the organizers of The Munsters' Ball, said, "We are looking forward to providing an entertaining evening for the whole family. You can dance to Munster inspired music, dine on ghoulish finger foods (not made from actual fingers) and enjoy a rare opportunity to hang out with the members of the iconic Munster family." John Goldsmith, Chamber of Commerce Director, commented, "Over the past few years the celebrities we've brought in for the Greenville Graffiti Car Show have been incredibly popular. We're thrilled to give everyone a chance to spend time visiting with Butch and Pat." The Munsters' Ball will be held from 6:30 to 9:30 p.m. at the American Farm Heritage Museum, 1395 Museum Avenue in Greenville. Tickets are $20 each and may be purchased by calling the Greenville Chamber of Commerce office at (618) 664-9272. Tickets may also be purchased in Greenville at Watson's Drug Store, First National Bank, and Bradford National Bank. A series of free workshops will be offered throughout the afternoon. Topics include successful job searching; job applications/resume writing; applying for federal jobs; and interviewing tips/dress for success. Those who have registered for booth space are the Bond County Health Department; Bond County Humane Society; Bond County Senior Center; Bradford National Bank; Carlisle Construction Materials; Express Employment Professionals; FCI Greenville; The Glenwood; Greenville College; Greenville Public Works Department; Greenville Regional Hospital; Illinois Department of Veterans Affairs; Illinois National Guard; Jewett Roofing; Kaskaskia College; Madison County Employment and Training; MERS Goodwill; National Bank; Nevco; Priority Staffing; State Representative Cavaletto's office; Sunrise Care Givers; Unique Personnel; United Stationers; US Air Force; and WGEL radio. Other businesses could possibly be there that day. Attendees are encouraged to come dressed for success with resumes in hand. The event is open to members of the workforce of all ages. John Goldsmith, Greenville Chamber of Commerce Director, explained, "This is the perfect chance for anyone seeking a job to have one-on-one time with area employers. We encourage you to stop by and be ready to impress." For more information, contact the Greenville Chamber of Commerce at (618) 664-9272. He currently serves on the advisory boards for the DeMoulin Museum and the Bond County Independence Day Festival. Leidel's voice has been heard for years as announcer of the Bond County Fair Parade and at local sporting events. The former editor of the Greenville Advocate, Leidel was for decades a familiar face with his camera and pen in hand. His career began at WILY radio in Centralia in 1974 where he was program and news director. He joined the Greenville Advocate in 1979 as a sports writer and city editor. He was promoted to editor in 2003. Joe Alstat, representing the GHS Athletic Department, nominated Leidel for his "countless hours to the Comets as an announcer, organizing and serving at the Homecoming cookout, 3 on 3 basketball tournament, and countless other endeavors." He also coached youth baseball and softball for 23 years. Leidel's promotion of Greenville through the newspaper was at the forefront of all the nominations. In his letter, John Coleman of the Bond County Historical Society wrote, "He used his words to lead discussion, to lead understanding, to lead awareness, and lead support for countless issues and organizations. Jeff was always focused on the community and making Greenville a better place." 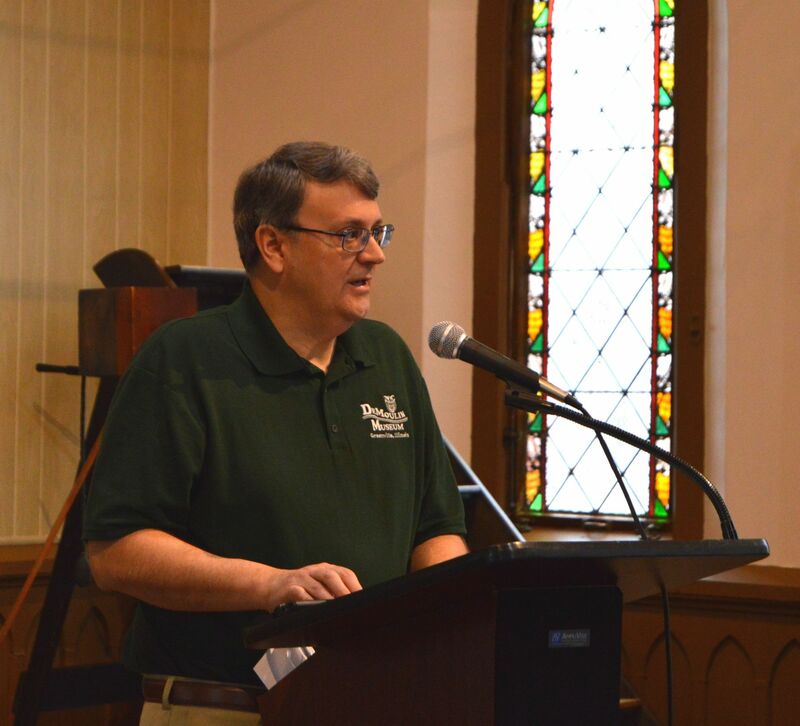 Kevin Kaegy of the Bond County Genealogical Society wrote, "Jeff Leidel has been and will continue to be one of Greenville's best promoters and cheerleaders." His previous honors include the 2014 Greenville Women's Club Community Appreciation Award; Horace Mann Award from the Kaskaskia Division of the Illinois Principals Association as a "Friend of Education"; Media Award from the Southern Illinois Police Chiefs Association; and Bond County Shrine Club Gold Book Award. Leidel was inducted into the Illinois Basketball Association's Hall of Fame (Media Division) in 2001. The winner of the Gerald Turley Memorial Award is selected by a special committee of the Chamber of Commerce. Created in 1994 to honor a Greenville citizen who has demonstrated personal sacrifice, involvement, innovation, and community leadership to promote the success of Greenville, the award was named for Gerald Turley, a former mayor. The program honoring this year's recipient will be held April 16 at the Greenville First Christian Church reception room. Patrick was a popular child star who also made guest appearances on many shows of the 1960s including "Bonanza", "Gunsmoke" and "Rawhide". Patrick's work as Eddie, the son of Herman and Lily Munster, made him a TV icon. In the early 1970s Patrick was the star of "Lidsville", a quirky Saturday morning show produced by Sid and Marty Krofft. Priest took over the role of Marilyn Munster in the show's 16th episode. Perhaps her best known role outside of "The Munsters" came in 1967 when she co-starred with Elvis Presley in the movie "Easy Come, Easy Go". She was also a guest on other iconic programs like "Perry Mason", "Bewitched" and "Mission Impossible". Car show organizers are excited to have the Munster Koach and Drag-ula on display that day. The original vehicles were the creation of George Barris, a legendary designer and maker of cars used in television shows and movies. The Munster Koach, Herman Munster's preferred method of transportation, was created from three Model T bodies. The Drag-ula, built by Grandpa Munster and used by Herman in a classic episode of the show, was made using a real fiberglass coffin. This is a rare opportunity to see television history in person. Butch Patrick, Pat Priest, the Munster Koach, and the Drag-ula may also be seen at the Munster's Ball, a special event to be held on Friday, June 19 at the American Farm Heritage Museum in Greenville. This ticketed event includes a question and answer session with the stars, photo opportunities, food, and other fun. Ticket information about the Munster’s Ball may be obtained by calling the Greenville Chamber of Commerce at (618) 664-9272. The Greenville Graffiti Car Show on Saturday, June 20 is open to 1990 and older cars and trucks for judging. Vehicles may also be brought for display. For the first time, motorcycles may be brought for display only. Last year's event attracted nearly 190 cars and trucks to downtown Greenville, Illinois. Patrick Miller, Greenville College Dean of Career and Calling, and John Goldsmith, Greenville Chamber of Commerce executive director, have built upon the COR group's groundwork and will be unveiling the internship program at a breakfast meeting on Thursday, February 19 at 7:30 a.m. at the Bradford Community Building. Chamber of Commerce member businesses interested in participating are encouraged to attend. Miller explained, "The purpose of this internship program is to integrate academic learning with a planned and supervised work experience at a Chamber member business. Any student in any major, or those undeclared, may enroll in any internship. The internship may be paid or unpaid as determined by the host business." Goldsmith believes the internship program can provide employers with a resource for staff to assist with short-term and immediate range needs, as well as seasonal and special projects. "This also strengthens the relationship between Greenville businesses and Greenville College, its faculty and students," said Goldsmith. Any Chamber member business that would like to know more about the Greenville College/Greenville Chamber Internship Program should send a representative to the meeting on February 19. Students will be available for internships beginning in March. For information about the meeting, contact John Goldsmith at 664-9272. Nomination letters should include detailed reasons why the individual qualifies for the award with emphasis on the areas listed in the criteria. Letters may be submitted to the Greenville Chamber of Commerce, P.O. Box 283, Greenville. Deadline for submissions is February 3. Those who have been nominated but not selected in the past may be nominated again. The recipient of the Gerald Turley Memorial Award is chosen by a special committee of the Chamber of Commerce. The award will be presented during a program held in the spring. For more information about the Gerald Turley Memorial Award, the nomination process or a list of past recipients, call the Greenville Chamber of Commerce at 664-9272. 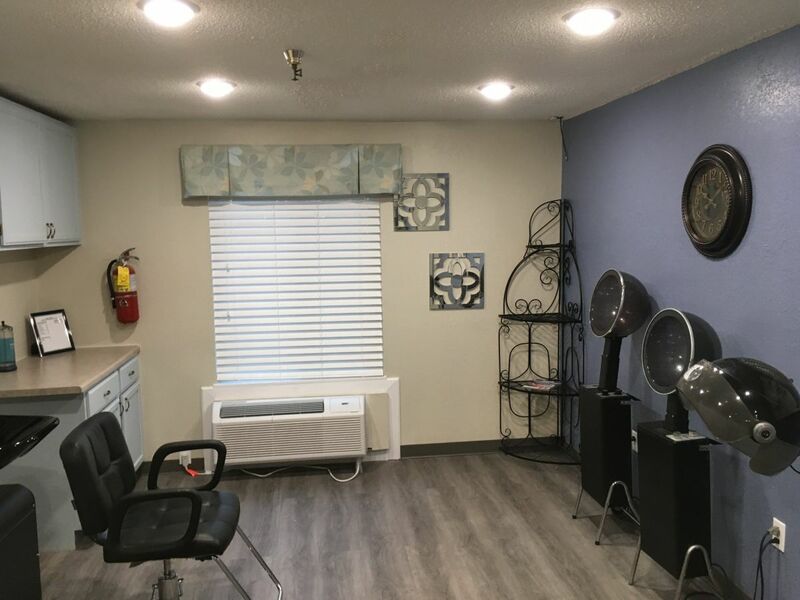 The program is open to new businesses, those that have expanded or extensively remodeled, are under new ownership, or have new personnel in key positions. Participating businesses should send a representative to speak for a minute or two. Attendees are also encouraged to bring brochures, flyers, or other promotional pieces. Chamber membership is not required for participation. Because of the potential length of the event, businesses are required to reserve a spot. To be part of the "New Faces and Places" program, please contact John Goldsmith at 664-9272 or send an e-mail to greenville@newwavecomm.net. In conjunction with "New Faces and Places", the Chamber will present a report on 2014 activities and preview 2015 projects. The Chamber board of directors and officers will be introduced. Chamber of Commerce members and the public are invited to attend this free event. Other Chamber board members are Doug Stroud, Janice Romack, Pat Kious, Jerri Davenport, Dave Willey, John Kennedy, Alan Gaffner, Brian Nall, Jim Cross, and Mike Diaz. Elected officers for 2015 were Michael Ritter, President; Mike Diaz, Vice President; Janice Romack, Secretary; and Robert Ellsworth, Treasurer. The Chamber is cooking up a full plate of events for this year including the New Faces and Places program, the 2nd Annual Work Fair, the Gerald Turley Memorial Award, the 4th Annual Cardinals Baseball Luncheon, and the 4th Annual Greenville Graffiti Car Show. John Goldsmith serves as the organization's executive director. Replacing the gazebo is expected to be a cooperative venture involving several organizations. The Chamber is coordinating the fund raising for a gazebo kit, which will be assembled by volunteers. Several individuals and civic clubs have already donated towards the gazebo project. "We need to raise around $2,500," said John Goldsmith, Chamber of Commerce executive director. "Grant funds can be matched up to that amount, which will provide us with the money we need to purchase the kit." The Chamber hopes to have the new gazebo in place by June 1. The Chamber used the gazebo last June for its "Old Fashioned Fridays" as free popcorn and snowcones were served to kids and parents. The structure has also been the site of weddings, cookouts, and musical performances. Monetary donations of all amounts are welcome. Checks should be made to the Greenville Chamber of Commerce Gazebo Fund, PO Box 283, Greenville. You may also contact the Chamber office at 664-9272. The Wiedenhoefts came to Greenville in 1980 and quickly became involved in the community. Remembering their arrival, Cathie said, "Even though we were outsiders, I found Greenville to be a very accepting community." Cathie joined forces with three other local businesswomen who spearheaded the Greenville Business and Professional Association (GBPA), which spawned a Main Street revitalization of downtown. This year's Turley Award recipient has also served on the Chamber of Commerce board, Bond County Senior Center board, the Pierian Club, and the Greenville Women's Club from 1981 to 2011. She's been on the Greenville Tourism Board for over 15 years; many of those as the chairperson. On her role as a woman in business, Wiedenhoeft reflected, "At that time, women were not at the same point as they are now in equality. The Chamber of Commerce and Commercial Club were all men. Through the 1980s and 1990s, as a businesswoman, it never occurred to me there were things I couldn't do. But I never felt any negative feedback. I felt accepted and respected." For the past 16 years, she has worked at NACO Printing. The recipient of the Gerald Turley Memorial Award is selected by a special committee of the Chamber of Commerce. Created in 1994 to honor a Greenville citizen who has demonstrated personal sacrifice, involvement, innovation, and community leadership to promote the success of Greenville, the award was named for Gerald Turley, a former mayor. Last year's recipient was Frank Joy. 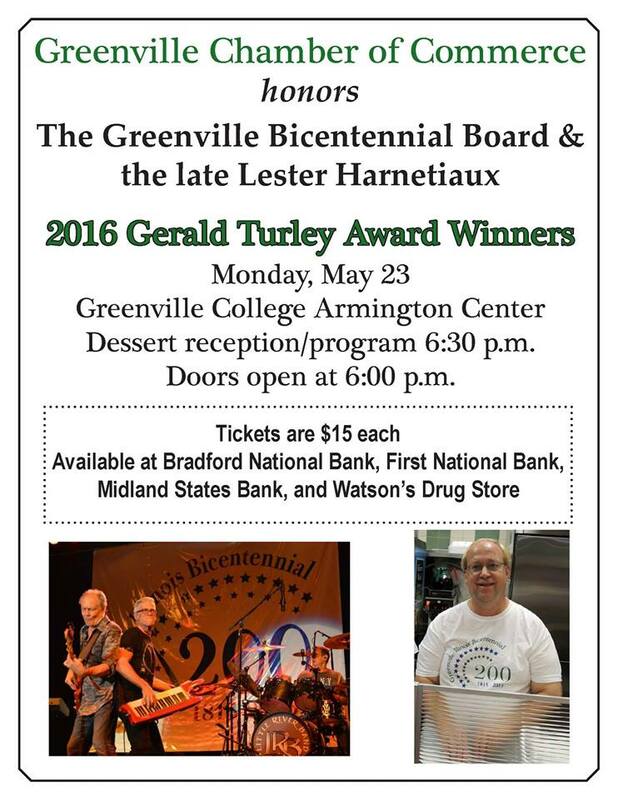 For more information about the Gerald Turley Memorial Award, contact the Greenville Chamber of Commerce at 664-9272. Best's career began in 1950 and he soon appeared alongside some of Hollywood's biggest legends including James Stewart in "Winchester '73" and Humphrey Bogart in "The Caine Mutiny." Best was also featured in two of Universal Pictures biggest franchises - "Ma and Pa Kettle at the Fair" and "Francis Goes to West Point." Fans of 1950s horror movies may remember James Best as the star of the 1959 cult classic "The Killer Shrews." His television appearances included two episodes of "The Andy Griffith Show" and three episodes of "The Twilight Zone." With over 180 acting credits to his name, Best's most beloved character was Sheriff Rosco P. Coltrane from 1979 to 1985 on "The Dukes of Hazzard." Rosco, under the direction of Boss Hogg, spent each week chasing after the Duke boys. Car show organizers have received numerous requests to bring in a cast member from "The Dukes of Hazzard." Best is expected to be a big draw to the event. In conjunction with his appearance at the Greenville Graffiti Car Show, Best's one man show - "Best of Hollywood" - will be performed the night before at the Globe Theater, on the Greenville square. This 90 minute journey through Best's career offers fans an intimate look behind the curtains, soundstages, and backlots of the studios and stars. Television and movie clips will be woven through humorous anecdotes, reminiscences, and Best's imitation of friend and co-star James Stewart. The Greenville Graffiti Car Show is Saturday, June 14 and will feature a variety of contests, food, and fun. The show is open to 1989 and older cars and trucks. Further details concerning the car show will be released soon. 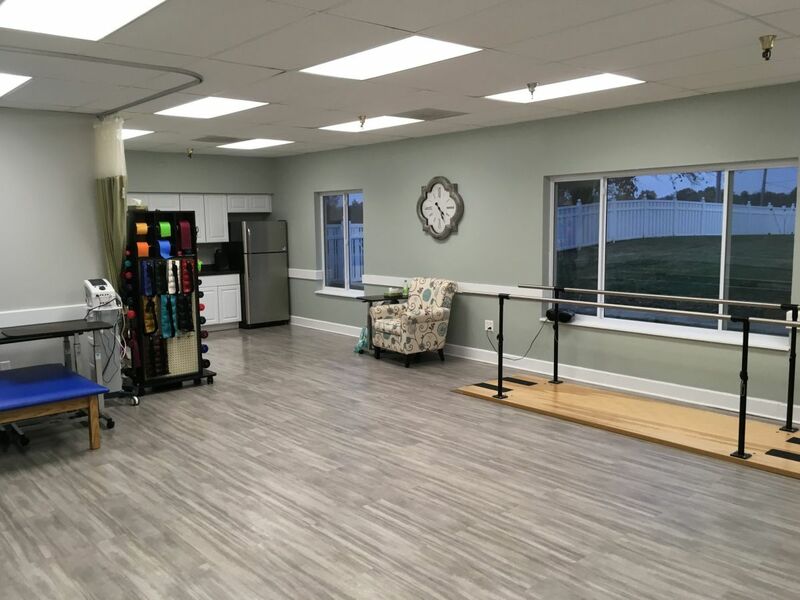 The modern 30,000 square foot facility (expandable to 120,000 sq. ft.), formerly serving as the distribution center for Maredy Candy, will be used to serve Fast-Rite's customers in Central/Southern Illinois, Missouri, Kentucky and Tennessee, and to serve future growth in these areas. Headquartered in Glendale Heights, IL, Fast-Rite also has operations near El Centro, CA. Another new facility is planned for the Laredo, TX area in 2014. Their product lines also include plastic injected molded components, metal stampings, abrasives, anchors, tools and tool accessories, to name a few. "The Wolf Park Location was chosen for its ideal transportation with access to multiple class one railroads and immediate interstate access," said George Woods, President, Fast-Rite International, Inc. "Just as important, we found that Greenville is an ideal family–friendly environment for our employees who will run the facility", said Woods, "and that's important to us, we're a family-oriented company. Greenville's cost of living is reasonable but the quality of life is high. We expect our people to be happy there." Robin Maire, chief executive officer for Maredy, reported that Maredy will continue to use a small part of the business park building for a short time. "We're very happy in Greenville and plan to stay in Greenville," Maire commented. Scott Lurkins, Greenville Economic Development Coordinator, said, "This project was all about working with the company to map their supply chain and prove that Greenville aligned with their business model and will provide long term value." He also advised that the City of Greenville provided no incentives to Fast-Rite International to purchase the building and come here. Lurkins said the city is seeing if it can help the company in extending fiber optic lines to the location. Items that will be housed in the warehouse will be trucked into the facility, and orders from the warehouse will be delivered by truck. Lurkins said the company would have the option in the future to look at the possibility of using railroad service, which is nearby in the business park. Lurkins is also pleased that Maredy has decided to stay in Greenville. Fast-Rite will primarily rely on the area residents for staffing this distribution facility. Please visit the Fast-Rite web site at www.fast-rite.com for job postings. Recruiting will begin locally starting in January 2014, and the facility will be open and ready for business in late February. The board also welcomed two new members to three-year terms. They are Brian Nall, CEO of Greenville Regional Hospital, and Michael Diaz, a local attorney. They replace John Donnell and Karen Smith who did not run for re-election. Returning Chamber board members are James Cross, Jerri Davenport, Alan Gaffner, Karen Kessinger, Pat Kious, Steve Morgan, Troy Oldham, Doug Stroud, and Dave Willey. The Greenville Chamber of Commerce board of directors meets the second Thursday of every month at 7:30 a.m. at the Corner Café. All Chamber members are welcome to attend. For residences, first place winner was Stan Breuchaud of 1503 Killarney Drive. He won $100 cash, a $25 gift certificate to Randy's Country Barn Christmas Trees, and a group tour of Marcoot Jersey Creamery. Second place winners were Will and Heather Fairbanks of 1404 Killarney Drive. They won $50 cash and $25 gift certificates to True Value Hardware Store and Watson's Drug Store. Third place winners were John and Anna Piper of 905 Vine Street. They won $25 cash and a gift certificate from the Greenville Advocate. 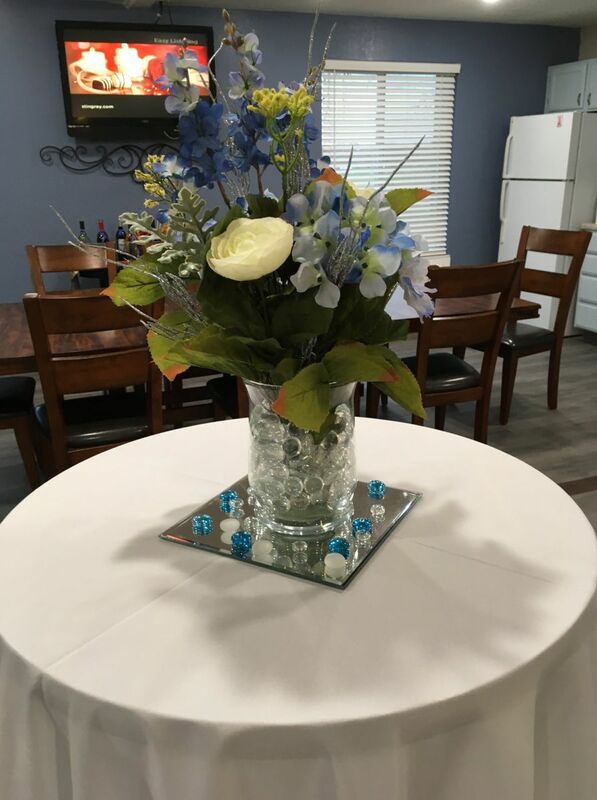 Floral Designs by Cindy at 300 S. Third Street was first place winner among businesses. Joe's Pizza and Pasta at 106 N. Second Street finished second and Kuhl Massage at 114 S. Third Street took third place. Judging was by a city official from a non-Bond County community. The contest was open to residents living within the city limits and Chamber member businesses. According to John Goldsmith, Greenville Chamber director, "The final tally was close and there were several entries that almost made the top three. Our judge had a great time. She commented that she hopes her community will hold a similar contest next year." The Greenville Chamber of Commerce thanks the participants and sponsors for helping light the town. The Chamber hopes the contest will continue to grow. A "First Night" celebration on December 31, 2014 will serve as the kick-off. The big bash will take place on Saturday and Sunday, September 5-6, 2015. John Goldsmith, Bicentennial Board chairman, said having the main event coincide with Labor Day weekend will encourage former residents to come back. "We want this to be a celebration and a homecoming. Our hope is that Greenville High School classes having reunions in 2015 will schedule them for that weekend." Pat Kious, chair of the Events Planning Committee, "Our goal is to present quality events showcasing the past, celebrating the present, and setting a springboard for the future." Historic re-enactors, music, street entertainers, and a parade will be some of the highlights of the Labor Day weekend 2015 party. The wrap-up party will be December 31, 2015 when a time capsule will be placed in the Montrose Mausoleum. The Chamber of Commerce is bringing back yesteryear summertime fun during Old Fashioned Fridays. On Fridays in June from 11:30 a.m. to 12:30 p.m., the Chamber will provide free popcorn and snowcones to kids. The promotion will be held in the gazebo on the northeast corner of the courthouse grounds. Dates are June 7, 14, 21, and 28. In case of bad weather, Old Fashioned Fridays will not be held. If it's successful, the Chamber may extend the event into July. Live music might be added later. The Chamber hopes the event catches on and becomes a downtown tradition. For more information, call the Chamber office at 664-9272. Ronnie Rice, lead singer of the group New Colony Six, is the featured musical entertainment at the Greenville Graffiti Car Show. The New Colony Six notched two Top 40 Billboard hits with "I Will Always Think About You" and "Things I'd Like To Say." Although New Colony Six was known for its ballads, Rice's concert will be a musical journey through rock and roll's greatest hits. Rice's performance is free and open to the public. Other photo opportunities will be available at the Greenville Graffiti Car Show. Two members of the St. Louis Rams cheerleaders squad will sign autographs and pose for photos from 11:00 a.m. until 1:00 p.m. Woody from "Toy Story" will meet kids from 10:00 a.m. until Noon. There are two unique contests open to the public. Those with a sweet tooth can compete in a Cupcake Eating Contest at 12:30 p.m. The winner will be the first one to devour a dozen jumbo cupcakes courtesy of Sweetest Things. Registration is $20 with proceeds to benefit the 8th grade Junior Comets football program. "Beverly Hillbillies" fans may want to dress up like Elly Mae, Jed, Grannie, or Jethro for the Clampett Look-a-Like Contest at 1:00 p.m. There is no charge for entering this competition. A craft and vendor show, sponsored by the Circle of Friends Relay for Life team, will be held from 9:00 a.m. until 3:00 p.m. at the First United Methodist Church gym. Many downtown merchants are planning sidewalk sales and special promotions. For more information, contact the Greenville, IL Chamber of Commerce at (618) 664-9272. Joy has a lengthy history of serving on countless boards and commissions including 30 years on the Greenville Regional Hospital Board of Directors and 20 years on the Greenville Chamber of Commerce board. Joy is treasurer for the Bond County Salvation Army. He is a past member of the Greenville Industrial Commission, I-70 Community Development Association, Bond County Academic Foundation board, and Greenville College to Greenville Community advisory board. This year's Turley honoree began working part-time at Bradford National Bank in 1970 before becoming a full- time employee in 1973. He worked his way up to the bank presidency in 1993. Under his guidance, the bank has grown to four locations and $250 million in total assets. Joy believes in the traditions of community banking and has pushed Bradford National Bank to be a leader in volunteerism. He encourages employees to become involved with local civic groups like the Lions Club, Optimist Club, the Women's Club, and more. With Joy's support, employees have raised thousands of dollars for causes including the Bond County Food Pantry, Relay For Life, Parkinson's Disease, autism, and more. At his direction, Bradford National Bank has also been a supporter of local education, athletics, and the arts. The bank has been a backer of the Fellowship of Christian Athletes and the annual Art Walk. Joy urged the creation of the Art in Education Art Show, highlighting the works of area elementary, junior high, and high school students. Frank Joy has also been a staunch supporter of area veterans through the downtown Veterans Memorial, the Honor Flight program, an appearance by the Traveling Vietnam Wall at the Bond County Fair, and the publication of two books sharing stories of Bond County's World War II vets. The recipient of the Gerald Turley Memorial Award is selected by a special committee of the Chamber of Commerce. Created in 1994 to honor a Greenville citizen who has demonstrated personal sacrifice, involvement, innovation, and community leadership to promote the success of Greenville, the award was named for Gerald Turley, a former mayor. Last year's recipient was Becky Blackburn. 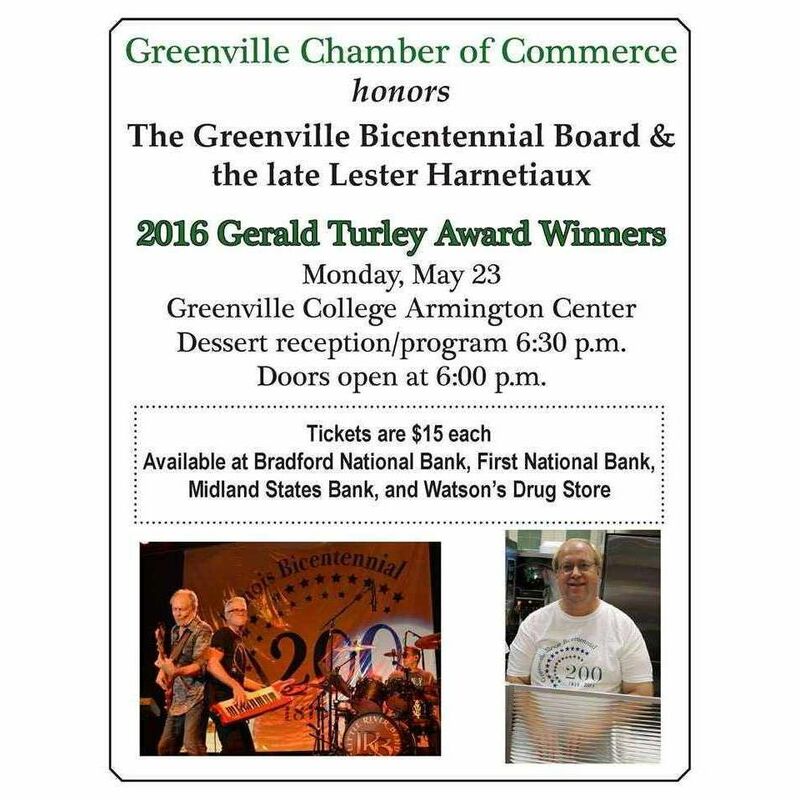 For more information about the Gerald Turley Memorial Award, contact the Greenville Chamber of Commerce at 664-9272.